Your task is to ride the most technically advanced vehicle to reach the center of the Earth and extract some poisoned element called Testalunium to save the mankind. Use arrows to steer. Your mission is to conquer entire galaxy to win this game. Each level you start with one home planet, you have to send your troops to neighbor planets to multiply your population and conquer enemy's planet. Use mouse to control the game. Dive into the space to protect Earth from the robotic alien race who are going to invade Earth. Your mission is to reach the teleport in each level. On your way collect points and shoot enemies. Use A D to move. Use Mouse to aim and fire. 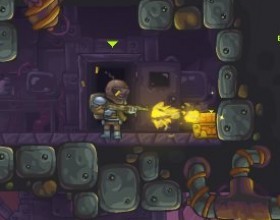 Press Space to use Gravity Blast. Your mission is to protect your spaceship from all invading forces. Use your powerful tank and destroy enemies completely. Use W A S D to control your tank. Use mouse to aim and fire. 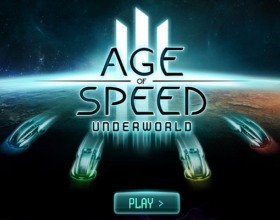 Another great tower defense game from the future. Place your turrets and stop invading creatures from reaching your base. What's nice about this game is that each action is spelled with beautiful sci-fi female voice. Brilliant graphics and great gameplay - these are only few characteristics of this game. Go to the stars and fight against other space ships who are trying to steal the resources that you are gathering. Lots of features and weapons for you to discover. Use W A S D to move. Move your mouse to aim and rotate your ship. Left click for weapon one, and use right click for second weapon. One of the last Christmas game this year. Your aim is pick up colored balls in the right order to create the right stack and deliver it back to your home. Use arrow keys to move around the surfaces. 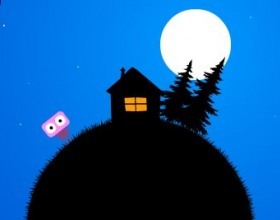 One of my favorite games - beautifully made and the game becomes challenging level by level. 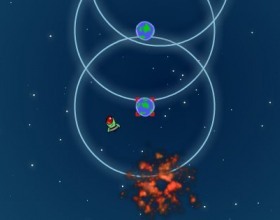 Help your small galaxy to grow bigger by collecting other planets. Just click your mouse when you're ready to shoot your planets. 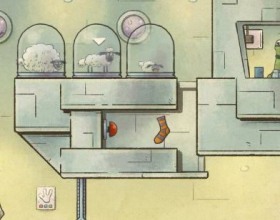 This time your task is to help 3 lovely sheep to navigate across some space station. Control 3 different size animals to get through various situations and reach the exit point. Use arrows to move. Use numbers 1-3 to switch between them. Your task is to create life on this planet. The goal of this game is to make certain things in the right order to cause some things to happen. Use your mouse to point and click. 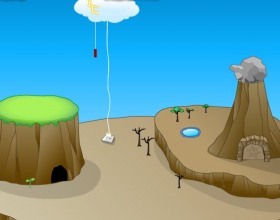 First thing you can do is to solve the puzzle under stone, then move the cloud over it. 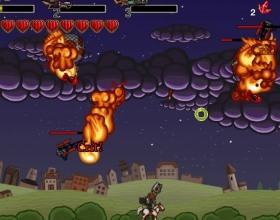 Your task is to destroy all enemies in the sky who are trying to attack and destroy your town. Use all available weapons to blow them up. Use W A S D or Arrows to move. Use your mouse to aim and fire. Switch weapons with number keys. A lots of physics and balance control in this game. Your task is to launch your spaceship from one orbit to another, then explode it and navigate to the next orbit. Do it fast because you can not spend too much time on one planet. Press Space to start the game. Click to release your spaceship. As usual in games with word "Zombie" in title you have to kill lots of zombies. Also you have to walk around mysterious planet and search for fuel to your ship. Use W A S D to move and Mouse to aim and fire. Press E button for action. 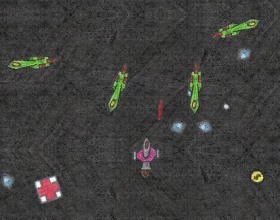 Fly through the space and destroy all other planes on the screen and then collect coins which left after them. Use that money to upgrade your plane. Select control mode between mouse and keyboard. Follow instructions in the game. 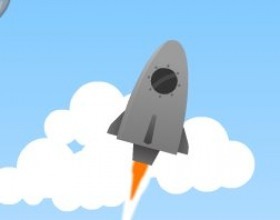 Your aim is to upgrade your rocket to reach the outer space as soon as possible. Move your rocket and collect dozens of bonuses and power ups. Use Arrow keys to control your rocket. 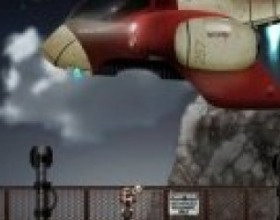 This game is all about spaceships! 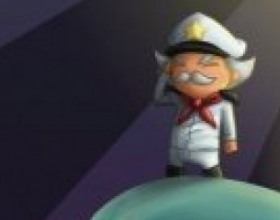 Your task is to destroy all enemy ships and survive as long as you can. Enjoy a lot of explosions and weapons at your disposal. Don't forget to upgrade yourself for a better performance. See instructions in the game. Strike Force Heroes are back with 5 unique missions for you to complete! Leave your space station and start to regroup your team. Find all available weapons, combine them and do many more things to upgrade your power and skills. Use W A S D to move. With mouse aim and shoot. Use Q and Shift to change weapons. 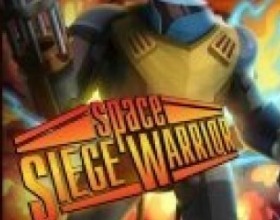 Control your space forces and guide your space fighters to the victory in this epic space shooting game. Invade all planets by navigating your team through certain points of the map where you'll stand against other space forces. Use your mouse to control the game. You must take control over bouncy laser guy. Your task is to get back all your body parts. Destroy entire laboratory while you look for your body. Use your mouse to click and bounce. Smash all boxes and kill security guys. Press Space to convert yourself into powerful light. 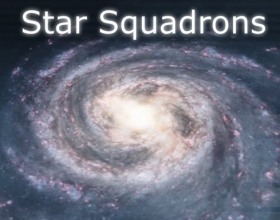 Your mission is to protect your space station from attacking enemy ships. Buy new buildings for your space station, deploy fighters and resource gainers. 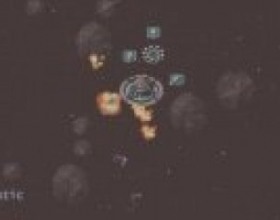 Select your space ships and navigate them to attack enemies. Use your mouse to control the game. Prepare yourself for a massive intergalactic battle. Use your strategic skills to place your starships and space constructions and defeat your enemy. 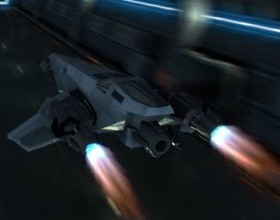 Earn energy resources and place more structures to send more airjets to attack your enemy. Your task is to help some powerful robot to capture all planets in the universe. Destroy enemies and their towers to get your trophy and progress to next level. Use earned money to buy new upgrades for your robot. Use W A S D to move and mouse to fire. 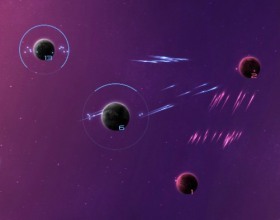 You play as a group of aliens who want to kill all astronauts that are disturbing them on their territory. Place magnets and other tools to set trajectory of your rockets. Then click anywhere to launch your rocket. Use mouse to control the game. I will tell you a secret why a lighthouse is always visible in night. That's because there's a guy who shoots the stars and collect them all night to keep the lighthouse on. Use your mouse and arrow keys to control the game. 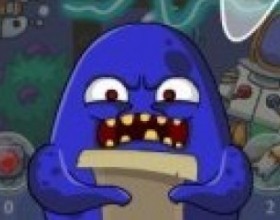 Remember aggressive hobo? Last time he was fighting in the hell. 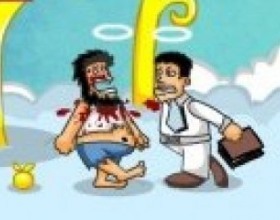 After beating the crap out of the devil now he has to fight his way in the heaven. Angels are not happy to see him at their home. Help hobo to fight against them. As always you'll unlock new combos as you progress the game. Use Arrow keys to move. Use W A S D to kick, punch and make disgusting combos. 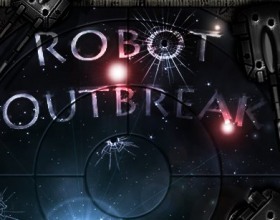 Another great game about robots. Your task is to fight against other robots on the Planet Junk. Take control over your cool and heavily armed robot named RoboMe and turn the never-ending enemy robot army into a pile of junk. Use W A S D or Arrows to move. Use Mouse to aim and fire. Press Q and E to switch weapons. In this futuristic game you have to control a robot to retrieve some stolen files. Destroy this huge corporation and all of their base. You have to complete 8 different missions. Use Mouse to aim and fire. Use W A S D to move. Hold S to for a shield or perform some task. Press E to use doors. Press Shift to move something with your laser hands. Story about Santa with a rocket on the back continues. 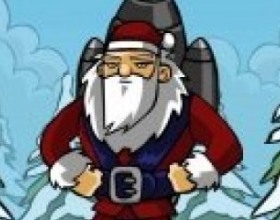 This time the elves have blown all gifts to the sky and your task is to help Santa to collect them all. Use your mouse to move Santa. Click to launch him or boost. Collect coins and buy cool upgrades. Who will take care and bring presents to our spaceman? Santa will because that's his job. He will shoot himself with big rocket right to the moon to do his job. 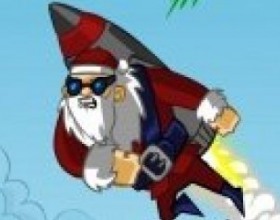 Click to launch Santa and use mouse to direct him in the air and click to boost. Collect coins in the air and use earned money to buy upgrades. 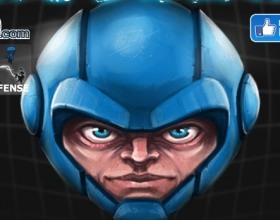 You are a spaceman who has to fight against alien monsters deep in the space to save his team-mates. Use your mouse to aim, set the power and fire. Remember that you can use various weapons with different abilities. 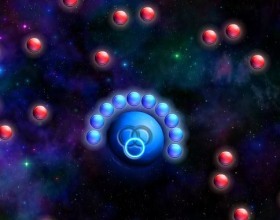 Spaces games represent a series of computer video games which assume the possibility to game in the space environment. The genre was greatly influenced by the world-famous Star Wars which hugely defined the present content of the genre. Scientifically the space is almost unexplored despite all the efforts humans have made so far, so the games developers can create whatever their imagination may offer. One of the most commercially successful was the computer video arcade game Computer Space. 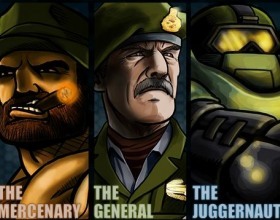 Usually the gamers rule a spaceship and cover long distances exploring new planets or fighting with enemies. 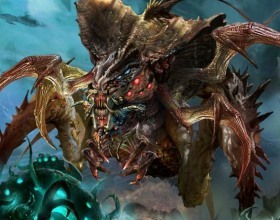 The enemies can be other humans, aliens, monsters and other fantastic space creatures. 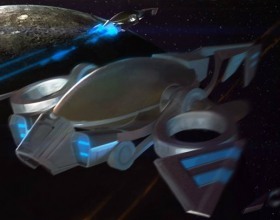 Spaceships can be of different construction, speed, technical characteristics, equipment, etc. 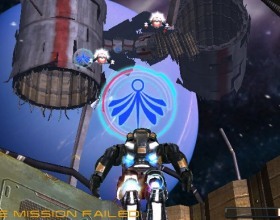 The player can be a member of space police and fight against space crime. His team may consist of not only human but of the other space creatures and races as well. The end goals may differ as usually the game is a sequence of stories and each of them may present separate surroundings. As a rule playing space games takes a lot of time and there are no time restrictions. 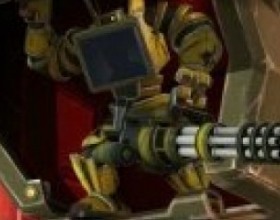 The weapon used is much alike in all space games (blasters, for example). The enemy can sometimes use unfamiliar samples of weapon so the gamer can try to find out which one it is (by spying, in particular). Space simulators are now being developed. 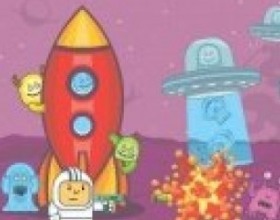 For the educational purposes space games which involve only exploring the space and travelling were created. They are somehow similar to physics games although it is obvious that laws of physics familiar to humans cannot be applied in the space environment. 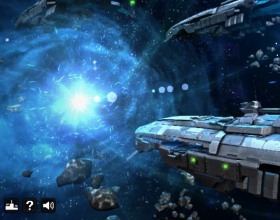 Nowadays space games are extremely popular in 3D. It really fascinates the gamer to see and feel everything like in reality. What distinguishes 3D space games from the other 3D games is that it is quite different experience and something incomparable as only a few people were in the space environment. So it is an excellent opportunity for 3D fans to try something completely different.